One ancillary benefit to developing your martial abilities via kung fu is the high level of physical fitness that comes with it. Should you never use your kung fu in an altercation, the fitness aspect of the training may in fact be its greatest benefit. 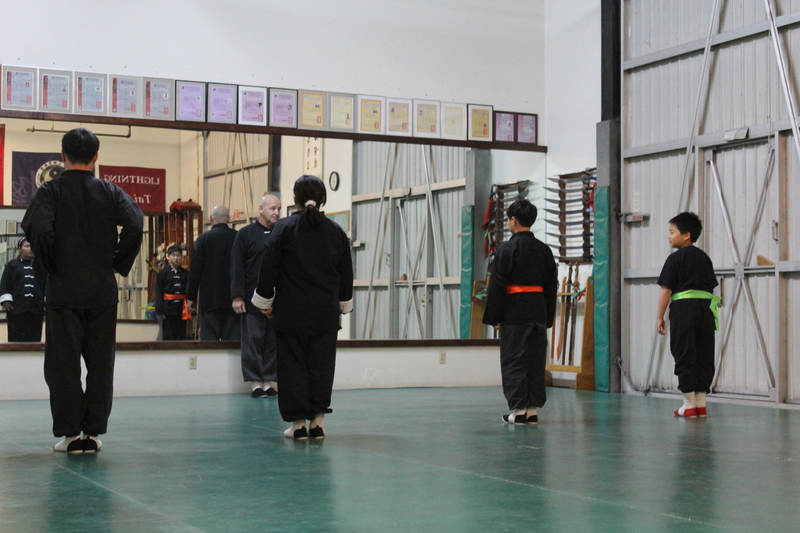 Arduous kicks, punches, stances, push ups, sit ups, forms, sparring, shuai jiao, san shou, and even chin na work your body into a heavy sweat by the end of class and provides a deep sleep at night. Doing this four or more hours a week with a balanced diet of nutritionally dense foods (vegetables, fruits, meats, nuts, seeds, etc.) and eight hours of heavy slumber at night will likely transform your body into a “kung fu body” and keep you healthy, energetic, and strong long after your friends weaken and wilt. The kung fu body is powerful, yet supple and loose with both explosive quickness and endurance. Much like the tiger in the picture. 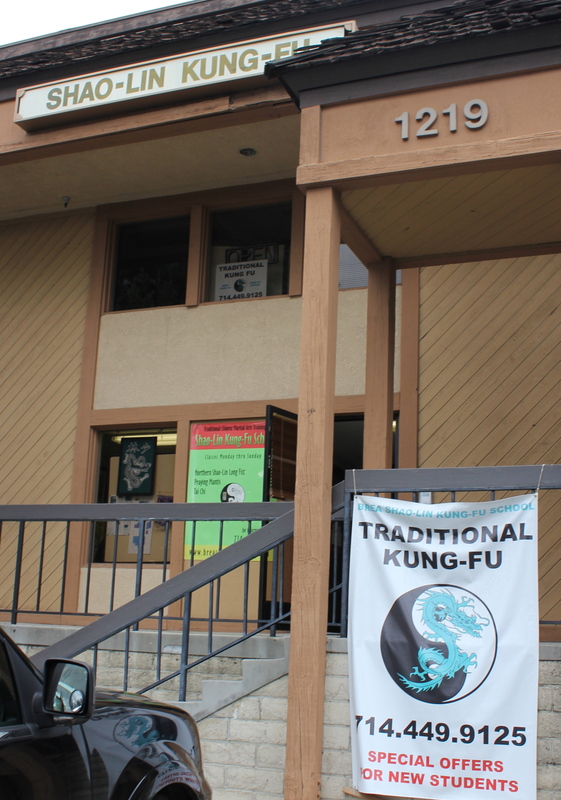 When you begin kung fu training, your body is typically not prepared for what it has in store for it – even if you work out at the local globo-gym or are training for the next 10k or marathon. Our American culture places an emphasis on upper body strength when judging physical fitness and even ones fighting ability. Martial cultures in Asia have a different opinion. Leg strength is considered obligatory in Asian martial arts as strong kicks, explosive movements, and a low, stable center of gravity are essential to their art’s techniques. For this reason, stance training is paramount in our kung fu and is often the most physically demanding training for new students. Bodies change gradually as months of hard training go by. Leg muscles are consistently sore, but getting stronger. Your joints and muscles occasionally tighten as you learn what they can and can not do, but loosen in time. Endurance improves – although you may not notice as you’re constantly pressed to learn and do do more in class. As you continue to push your body and the boundaries of what it can do, you begin to feel more powerful and in control of your body than ever. However, this feeling can quickly dissipate should you miss training for an extended period of time. Keep pushing and stay consistent! As months and years go by, you begin to notice a number of things about your body assuming you have given 100% of yourself in class, consistently slept 7-8 hours a night, and maintained a diet full of nutritionally dense food. First, your body has found an ideal level of fat and muscle as your muscles become fat burning engines that require high quality fuel to maintain high levels of performance. These muscles also become “body armor” to be used both in and out of the school. Take to heart the term, “Your body is your temple” and feed it high quality calories consisting of meat, vegetables, fruits and nuts – and avoid most other nutritionally poor foods. It will help both your energy in class and your recovery after class. Third, and almost most importantly, your endurance has increased dramatically. High intensity classes are no longer something to fear or scale down – they are something to focus yourself on and charge through. Your ‘”chi” will bring your energy up to whatever is required of the class, which is usually when your best concentration and skill come out. As long as you consistently push yourself year-in and year-out you will find very few people can match your level of health, vitality, and fitness. Remember, there are few sports or other physical activities that can rival the all-around level of physical fitness offered through kung fu. The various elements of class require muscle and joint flexibility, fluidity, explosive speed, endurance, and strength. Those elements are requisite in your sparring, which is the underlying purpose of all the other training in your kung fu classes. Ten or twenty minutes of continuous sparring will quickly show who has been consistently training and who has not. The ability to demonstrate your skill through techniques after long bouts of sparring demonstrates both your internal and external strength. As expected, the student who takes classes as often and as long as possible will maximize both their physical health and martial skill. NO CONTACT above the shoulders or in the groin or knee area. Sparring is the culmination of all your kung fu training put to use in a free-style sanshou format. Your intent should be to utilize superior technique, speed, power and tactics against your opponent, while following the above rules. The more effort you put into developing striking speed and power, lowering your stances, learning and mastering countering techniques, and improving the power and speed of your forms, the better you will spar. The first step for a student and his or her family is to realize that it is very important to ask to be tested. In the same vein, do not ask for the results of a test that was taken – you will be told in time. When a student is seen to be ready to attempt the challenge of a test, he or she will be informed of the opportunity and then must decide whether or not to participate. Should the student decide to take on this physical and mental challenge, he/she must focus and try hard to polish their movements with extra practice. The higher the rank testing for, the more that is expected of the participating student. Not only should the movements be done correctly, but more important to advancement, stances must be low, strikes must have proper power and relaxed balance is crucial. On the mental side, one should be very focused on what is needed for the test and be aware of any distractions that might take away from performing at the highest level. If on or near the date of an exam there are extra pressures with school or work of conflicting social schedules, the student might consider possibly putting off the test until he/she can confidently bring both physical and mental abilities to bear on the task at hand. Testing is not designed only to test a student’s physical abilities, but also how he would act under stressful conditions. Failure is not designed merely by the outcome of an exam, but rather by the individual’s understanding that he must always try to improve and always be willing to learn from his/her mistakes. In martial training, as in everyone’s life, challenges never end and failure is decided by the person and not by the challenge. Little is learned through easy victory, but much can be learned through temporary defeat. As you progress and learn more kicks, hand techniques, chin na, and forms (even weapons), you will find there are a number of movements that require you to “spin”. The key element (and the reason why these movements are done somewhat sparingly) is that at some point you expose your back. Exposing your back has potential for disaster as you are unable to see what’s going on and a number of vital areas could be attacked and quickly end the fight to your opponent’s favor. However, after developing the ability to execute spinning movements with proper timing and distance, these techniques can provide advantages in combat, such as the element of surprise, the combining of a defensive and offensive move at once, and the development of a powerful strike/movement through the torque of the spin. An example of all three is the spinning side kick. If an opponent launches a punch or a snap kick, quickly blocking and stepping away from the punch or kick while spinning will likely surprise the opponent as well as provide defense from the attack. Follow it up with a powerful side kick to the midsection and you have one very effective movement. 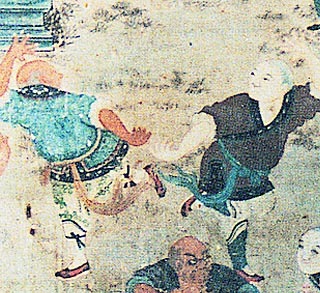 Even a number of chin na movements utilize a spin. Fortunately, for those techniques the back is mostly protected as you are leading your opponent to the eventual lock and he’s likely both wondering and worried about what was happening to him. However, if you’re opponent understands what you’re doing, then he will likely react by spinning along with you to avoid being locked. You’ve likely uncovered a skilled fighter if that’s the case. So, as you learn spinning movements, make an effort to consistently practice them in san shou and sparring to develop proper distance and timing. In sparring, using spinning movements as you’re learning them is a calculated risk, which may result in your opponent’s advantage more often than not. That’s ok, however, as if you keep trying and persist in making the technique work, then it will be yours to draw on when needed. If executed properly (at the right time and distance from your target), spinning movements are just one of the many different fighting skills available to students.